Single vs. Twin Mattress - What's The Size Difference Between Them? Home » Buyer's Guide » Twin vs. Single Bed Size: How Do They Compare? Twin vs. Single Bed Size: How Do They Compare? 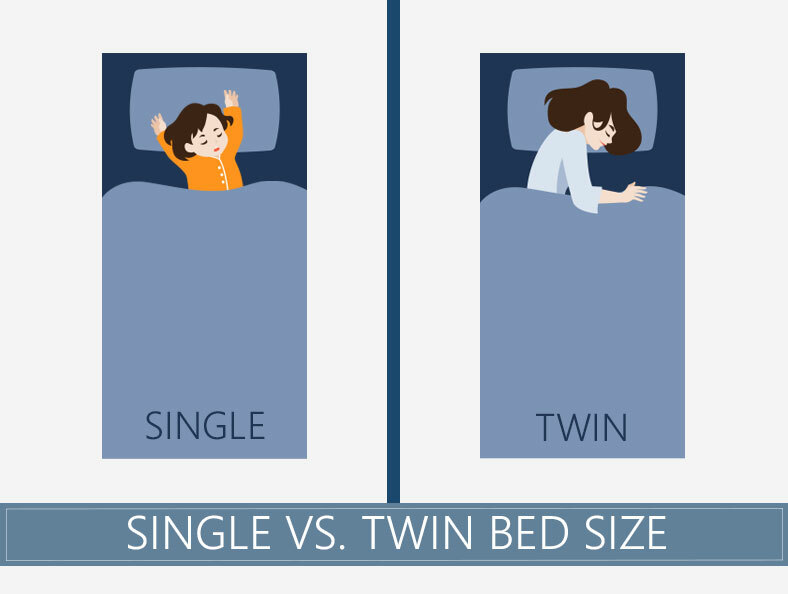 Lots of people seem to be wondering about the difference between the single and the twin bed. It's obvious that sizing is one of the most important consideration when choosing a mattress, so let's have a closer look and identify the difference between those two commonly mistaken types. How Big is a Single? How Big is a Twin? Who Should Own a Single? Who Should Own a Twin? A single bed is 39 inches wide and 75 inches long. Its main designation is to fit one person. Obviously, this is where the name “single bed” stems from. These are comfortable and convenient for kid's rooms and are likely going to be suited for the kid until he hits high-school age as the 75 inches might not be enough at that point. It's one of the most preferred options when it comes to furnishing children's rooms. The twin measurements are practically identical to the single. However, it is intended to be one of a pair of single beds. They are usually put in guest rooms which would be shared by more than just one person. They are also commonly chosen by couples who prefer to sleep together but not to share their bed as they don't feel comfortable. It's also important to note that there are a few different variations of the twin size bed and the most popular one of them is the Twin XL. There is just one difference between the regular Twin and the Twin XL. The latter comes with added 5 inches in length, making it suited for college kids and people who are slightly taller. A single bed is usually placed in a kid's room. They are also quite perfect for hotels in rooms which are designed to sleep, three people. These are the so-called “triple” rooms and are very characteristic for low-budget hotels and motels as they are far more affordable and yet they don't compromise your sleeping comfort. Additionally, single mattresses are preferred if you have a smaller guest room and can't afford to place a larger sized unit. Twin beds are designed to go in matching pairs, as we already explained above. The most common application for them is the regular double room in a hotel. A lot of hotels use this instead of a common king-sized or regular two single in order to accommodate the versatile demand of clients who are single and those who are a couple. Additionally, a twin mattress, as we mentioned above, are preferred for rooms which have to be shared by siblings, for example. There is obviously no difference in the single and twin measurements, but the intention and purpose of both beds are completely different. This is something that you'd have to account for when you're making the call. Take the aforementioned into account in order to ensure that everything is handled perfectly. King vs. Queen Bed Size Comparison – What’s The Better Choice? 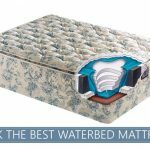 Where To Buy Best Rated Water Mattresses And How Much Do They Cost? Question: I briefly lived in Barcelona with my family and the single beds in our apartment were definitely smaller than a twin. When we traveled, beds in hotels were the regular twin size, but the ones in my room and my sister’s room were definitely a little smaller (maybe they were longer or shorter; I’m too short to have noticed, but they were more narrow). What is that bed size? Is that a single or something else? I am very interested in alternative bed sizes.